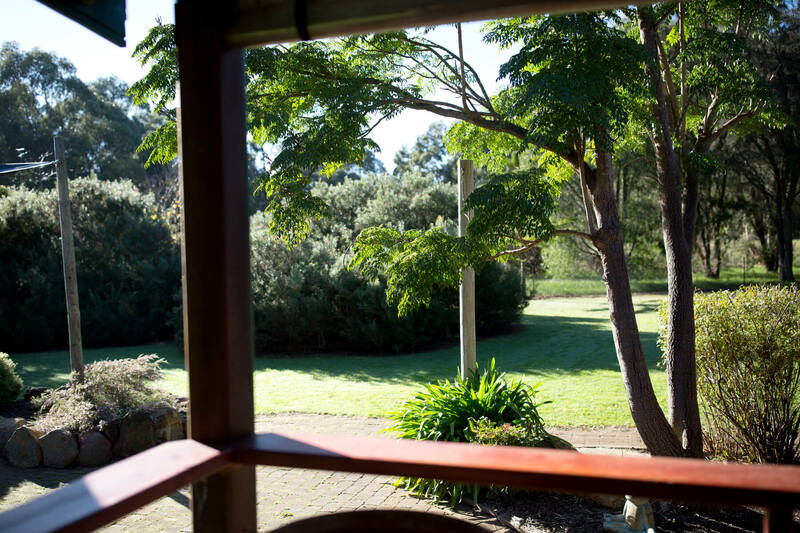 Brumby Cottage - Conveniently located between town and the ocean on 5 acres of private and picturesque farmland. 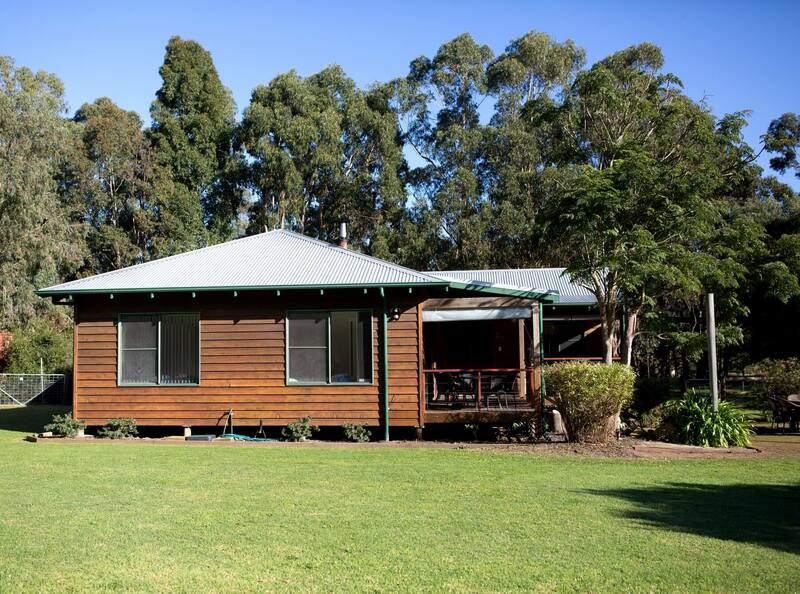 This modern fully self-contained 3 bedroom, 1 bathroom cedar-wood cottage is the ideal family retreat. Linen, bedding, towels and guest amenities are provided along with coffee, tea and fresh milk! The enormous fenced back yard will keep your little ones (or dog) secure and happy to be free. The cleared front paddock is perfect for a game of backyard cricket or boules. Choose from a variety of movies from our DVD collection, or reconnect with family and friends by playing one of the many board games or cards. 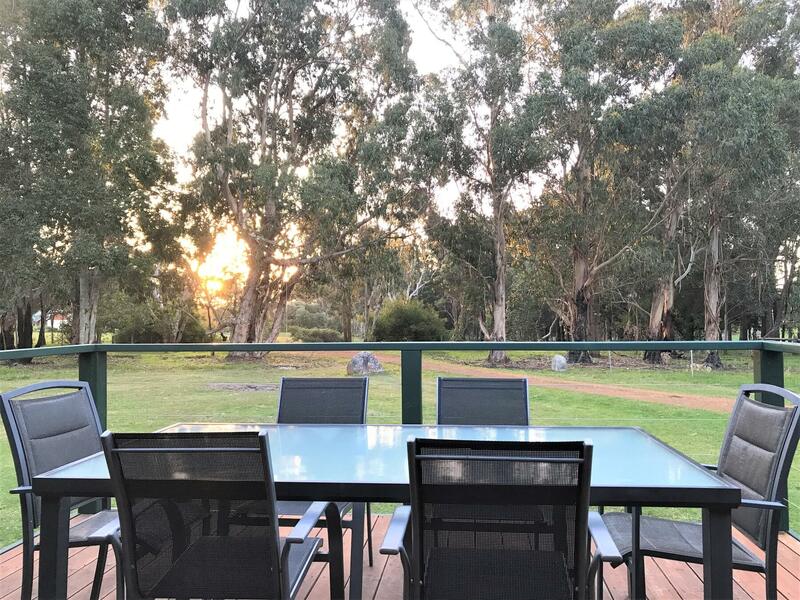 Relax and watch the abundant native bird-life and wild kangaroos. 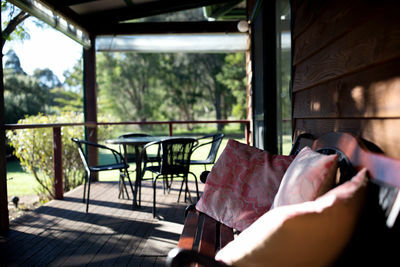 From $195 Per Night * - *Based on 2 Guests mid week low season sharing Master Bedroom with Queen Bed. ($30 extra per person per night applies. Up to 4 extra guests - choose from bedrooms with either a Double bed or 2 x Single beds (Full access to 3 bedrooms for 5 - 6 guests.) Porter Cot and high chair available at no extra charge. An $80 PER STAY Standard Cleaning Fee applies. 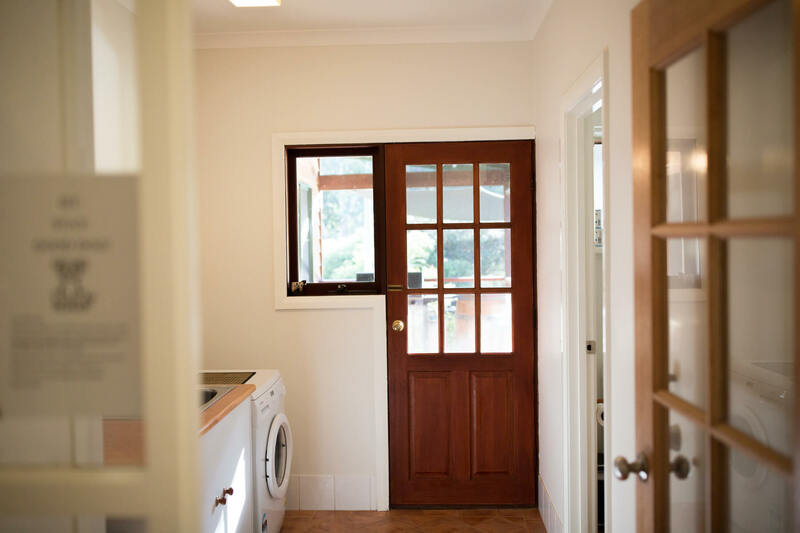 Please contact us directly for a quote. * Dogs are allowed inside, however must be kept to the LAUNDRY AREA ONLY. * Bring your dogs' own bedding, water and food bowls. 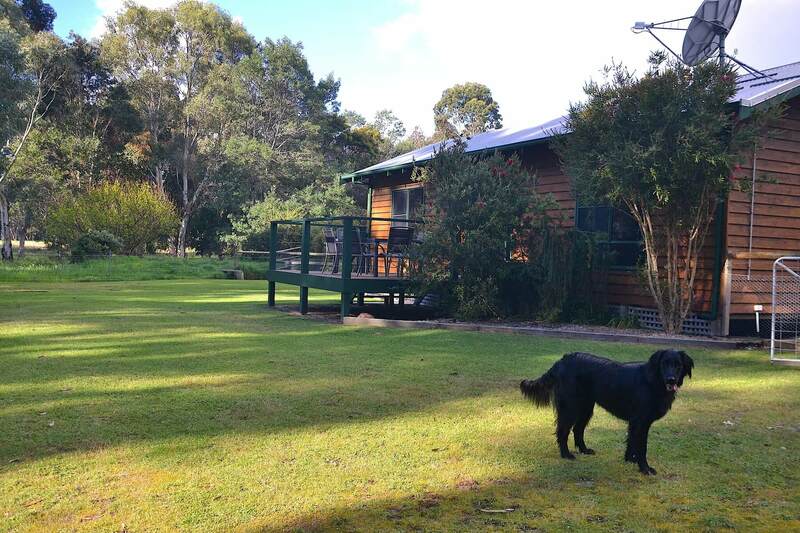 There is an enormous fenced secure yard surrounding the cottage where your dog can safely run free and play. Pet Rules: Well behaved dogs are very welcome to stay at Brumby Cottage providing owners are happy to abide by our 3 simple dog rules. 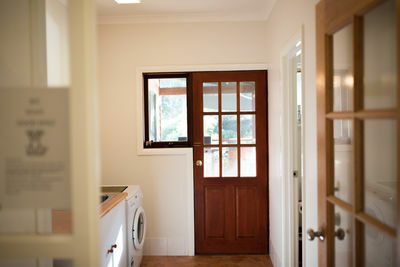 Dogs are allowed inside, however must be kept to the LAUNDRY AREA ONLY. * Bring your dogs own bedding, water and food bowls. * Please clean up after your dog. (Poo bags are supplied.) 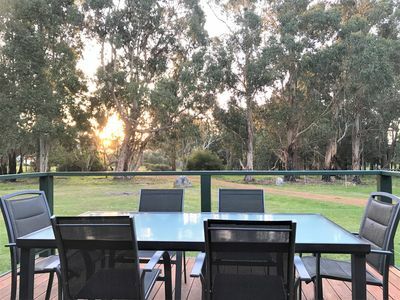 There is an enormous fenced secure yard surrounding the cottage and a covered verandah where your dog can safely run free and play. 'Brumby Cottage' - Conveniently located between town and the ocean on 5 acres of private and picturesque farmland. 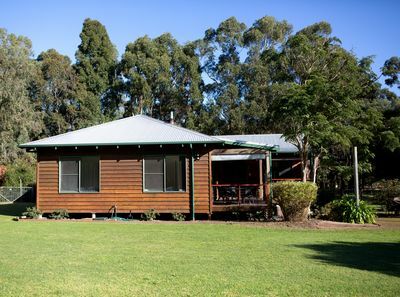 This modern fully self-contained 3 bedroom, 1 bathroom cedar-wood cottage is the ideal family retreat. 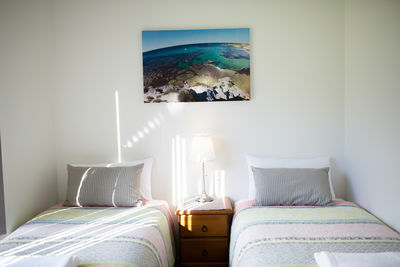 Linen, bedding and guest amenities are provided. Tea and coffee included. 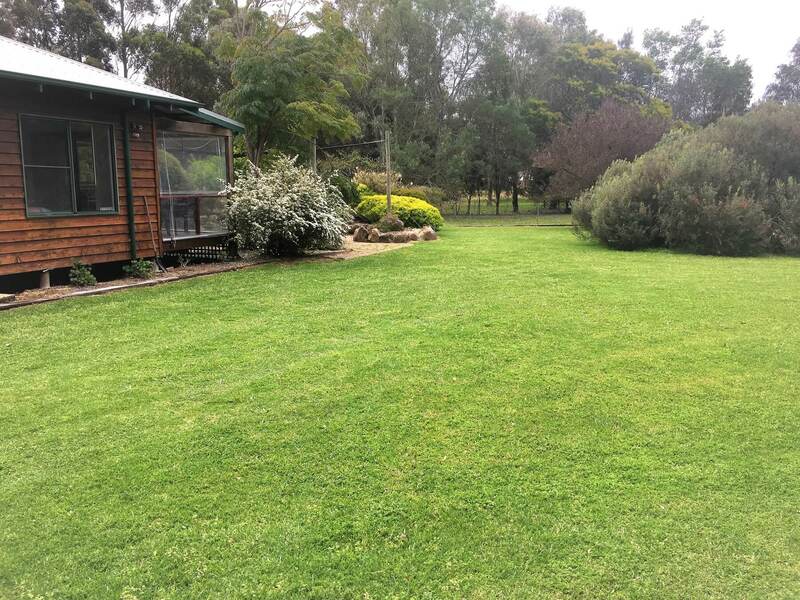 The enormous fenced 'back yard' will keep your little ones (or dog) secure and happy to be free.......... Large open plan living area with slow combustion wood fireplace and reverse cycle air-conditioner......(Fire wood, matches and firelighters supplied. 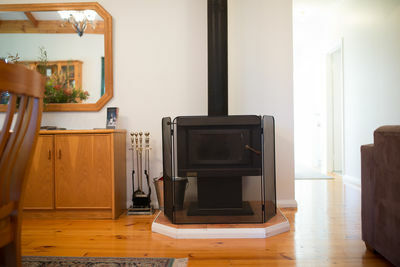 )..........Comfortable lounge area with LCD TV and DVD Player. Choose from a variety of movies from our DVD collection, or reconnect with family and friends by playing one of our board games or play cards........... 3 Bedrooms - Bedroom #1 - 1 x Queen..... Bedroom #2 - 1 x Double..... Bedroom #3 - 2 x Singles...........Rollaway bed for a 7th guest. 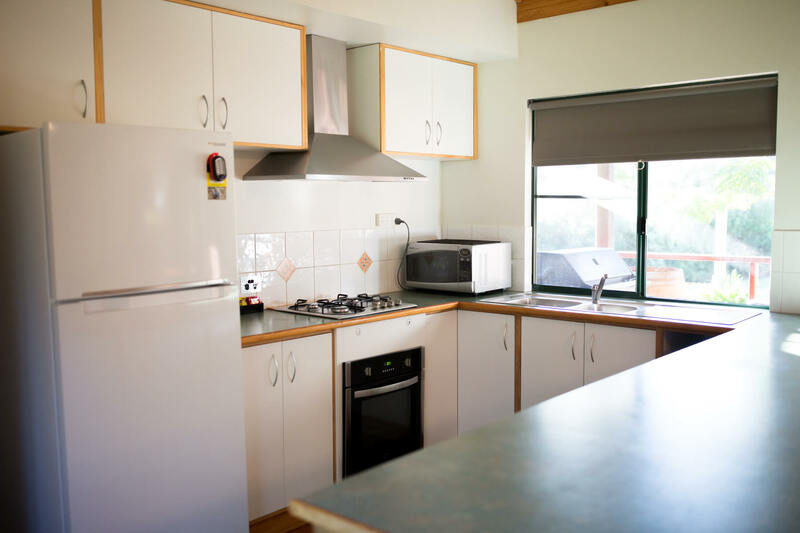 Fresh Linen, bedding plus extra blankets are provided..........Fully Equipped and Self Contained Kitchen..... Fridge/Freezer, Gas Cook Top, Electric Oven, Dishwasher, Microwave Oven. All cooking utensils, pots and pans, glassware, crockery and cutlery provided. Dish-washing liquid, dishwasher tablets and tea towels provided.....Coffee, tea, fresh milk and sugar provided..... 1 Bathroom with Shower Over Bath..... 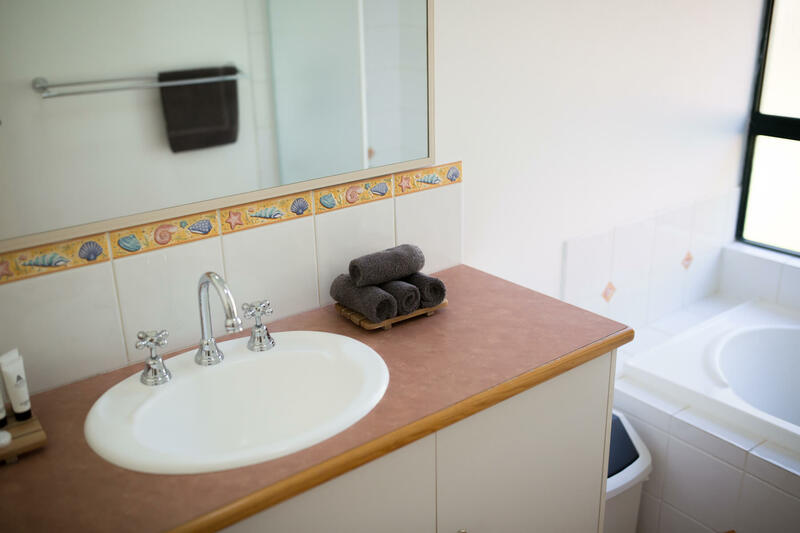 Towels, hand towels are provided.....Soaps, mini shampoos and conditioners are supplied..........Laundry with front loading washing machine - Washing powder supplied.Separate toilet - Toilet paper supplied.....Hills hoist washing line and pegs. Iron and Ironing board..... Gas Webber BBQ on Porch. BBQ utensils provided.....Several out door seating options.....Winter Fire Pit for toasting marshmallows..........We will welcome you upon your arrival and then the 'rest' is up to you. Zzzzzzz. If urgent assistance is required, we are contactable by mobile phone 24 hours a day.